This 12 Gauge shotshell from Federal’s Speed-Shok line of ammunition is loaded with 1 1/8 ounces of #2 steel shot. 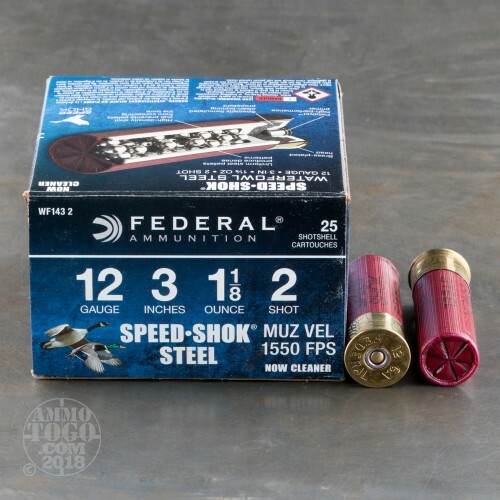 The exceptionally round pellets establish a tight pattern upon exiting the muzzle, and that they’re sped along down the bore by Federal’s high density plastic wad with a gas sealing flange does even more to promote a consistent, accurate pattern. 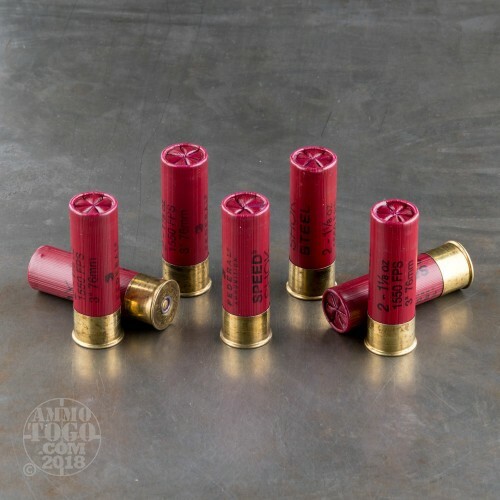 This shell is loaded with even burning propellant that dependably delivers a fast 1,550 fps muzzle velocity. 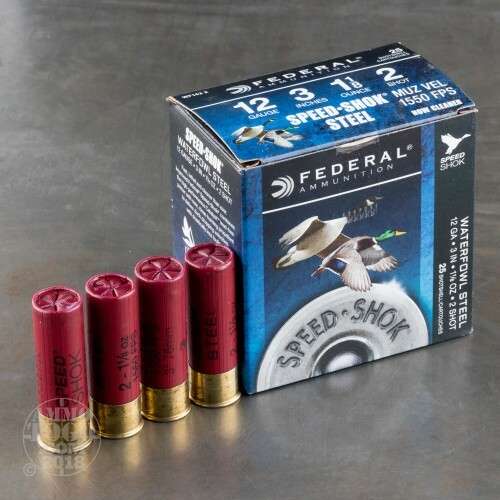 That will let you enjoy an environmentally load without sacrificing your downrange performance. 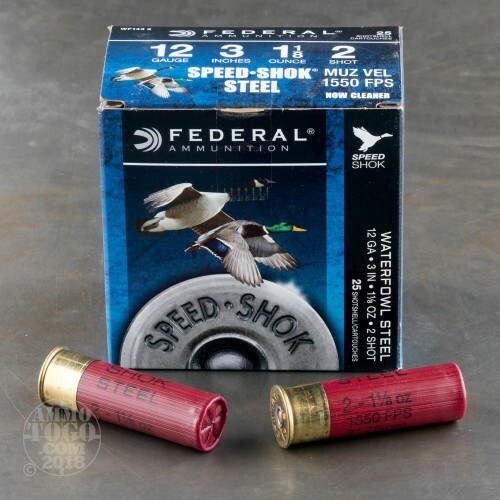 The Speed-Shok also features Federal’s Catalyst primer, which endures cold and wet weather remarkably well so that it can always guarantee you your shot. The Catalyst does a great job of burning its modern propellant quickly, another factor that contributes to its superior takedown performance. It all burns clean to keep your duck gun in better shape longer, too.